Sometimes we hear that biological clock pounding so loudly that it’s hard to ignore. If you’ve opted to wait for some, Emily Bartlett and Laura Erlich, authors of Feed Your Fertility, have have some great insight into some of the concerns that people have. These days, many women earn graduate degrees, pursue careers, or simply wait for the right partner before settling down to get married and/or have families. While we’re all for women’s rights, there is one unfortunate hitch in this plan: biology. Realistically, many women in their 40s will have a heck of a time getting pregnant because that’s how most of us are genetically programmed. Painful as it might be, it’s helpful to consider that women who conceive naturally later in life are the exception to the rule—outliers, if you will. If you are struggling with fertility in your late 30s or 40s, you don’t have a disease. Your body is going through the normal functions associated with your age. Despite the inevitable aging timeline, there are ways via both science and nature to improve your pregnancy odds. Photo by Nina Matthews courtesy of Wikimedia Commons. The media shows us attractive women in their late 40s happily pushing infant twins in a stroller on the way to the park and presents research indicating that older women will have smarter and healthier babies. What tabloids don’t reveal, however, is how many cycles of IVF failed before a successful pregnancy occurred, how much medication the mother needed to inject and ingest, how many tens of thousands of dollars had been spent, and if these babies were born via donor egg, donor sperm, and/or a gestational carrier to host the pregnancy. Reproductive medicine can be a miracle of science, but it is an extremely expensive (and often emotionally draining) miracle, yielding lower and lower margins of success with each passing year of age. That said, we believe that knowledge is power. We recommend that all women over the age of 40 who have been trying for more than three months seek a Western workup with a reproductive endocrinologist to rule out potential obstacles to conception—whether hormonal or structural. It is better to do this at the outset, rather than allowing precious time to go by. Some conditions (such as fibroid removal) can take several months in the healing process, so determining and treating any issues detracting from your fertility right away may make a big difference in your success. How long we are able to procreate is different for every person. Just because your best friend’s sister-in-law’s cousin got pregnant at 48 doesn’t mean we all can. Trying to change your genetics around your fertility is as futile as trying to have blue eyes just because someone else does. What we can influence, however, is epigenetics. Epigenetics is defined as the way our genes express themselves. This emerging field is providing more and more evidence that the things we do, like how we eat, think, and feel, can actually influence the way our genetic predispositions play out. For example, just because you have a family history of breast cancer doesn’t mean you are doomed to develop this disease yourself. Likewise, while your waning fertility may be a natural part of your genetic programming, you can slow this process a bit and optimize pregnancy outcomes by making smart choices in how you choose to live your life. Changing your diet, lifestyle habits, self-care routines, and stress levels can go a long way toward turning back the biological clock. Regardless of whether or not you end up having a biological child, these methods will only bring you better health and vitality, which is what you need to be a parent, biological or otherwise. While Western medicine has very little to offer in terms of turning back your biological clock, Chinese medicine can help to breathe hope and inspiration into the space where your odds seem to decline with each passing month. Chinese medical texts say that pregnancy should be possible from the onset of our first period (menarche) through the very last (menopause). With that in mind, let’s examine how Chinese medicine can help to optimize fertility through influencing epigenetics well into your later reproductive years. Depending on a woman’s reproductive profile, Chinese medicine can often dramatically slow down and sometimes even reverse ovarian decline. We have personally assisted many patients with “rebooting” their ovaries, which can increase follicle count, improve responses to fertility drugs, and result in more pregnancies (natural or assisted) and fewer miscarriages. Having a healthy, regular menstrual cycle is the cornerstone of improving fertility health, and Chinese medicine shines when it comes to this. Using herbs and acupuncture to regulate and support the cycle, women may find themselves ovulating and menstruating more regularly, experiencing less pain and clotting, feeling less PMS, having better cervical fluid at ovulation, and experiencing an improved libido. Beyond the mere functionality of your reproductive organs and hormones, Chinese medicine can help you to cultivate fertility in your entire being, so that you can approach your baby-making journey from a place of feeling already fulfilled by your life, rather than trying to fill an empty space in your heart with a baby. The First Step to a Happier, More Balanced Life is Becoming Your Own Best Friend. Here’s How…. The author at the beach. The Balanced Blonde knows a little something about putting the work in to be your happiest self. 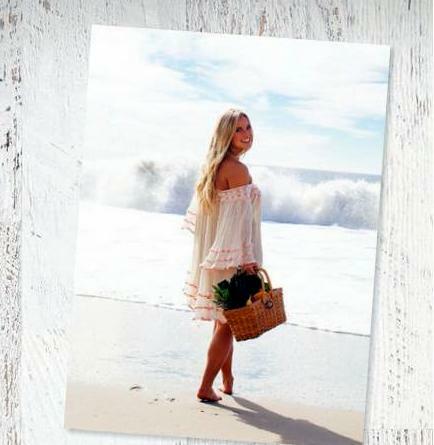 In her book, Breaking Vegan, Jordan explains her battle with orthorexia and how she learned to accept life in a more balanced and positive way. Well also, what you do in private, you embody in public. If you sit around getting down on yourself and second-guessing your every move, you will emanate negativity and low self-confidence. On the other hand, if you wake up, tell yourself you’re beautiful and down a gingery green juice like you mean it, you will radiate the same confidence in public. Living in New York taught me wonders about learning not only to be comfortable with myself, but also to enjoy my own company in quiet moments. If you can trust your own opinions and reactions, you have a lifelong confidant who can’t help but have your best intentions in mind. The hardest thing for all of us to develop is that trust with ourselves, and we can strengthen it by practicing being kind to ourselves. Choose a mantra. It can be anything from “I am beautiful” to “I radiate confidence and happiness because I choose to be confident, happy, and content with every aspect of myself,” or anything in between. The only requirement is that the mantra must be kind and gentle, and it must hold enough truth that you don’t have to call your own BS every time you say it. My mantra of choice is; “Today I am perfect.” I like to include the immediacy of today, because so often we get caught up worrying about the future or rehashing the past. We forgot to live in the moment. It’s easy to say we’re going to enjoy the beauty of each day, but how often do we really stop to notice the splendor in the little things? The natural things. When we’re at peace with ourselves, and when we befriend ourselves, we can begin to live in the now. I chose the word perfect not because of the stigma of perfection in itself, but because to me, the word embodies complete and utter contentedness. Things are never downright perfect, but shrugging off the imperfections and accepting them as part of the package allows us to focus only on the good. Whatever “perfection” means in my life changes every day, and waking up each morning and believing in my own true perfection is a breath of fresh air. Choose a mantra that feels right (it could be anything!) and repeat it to yourself at a time of day that makes the most sense to you. I like to do it in the mornings when I’m getting ready, because I’m already in front of the mirror and can really look into my eyes and hold myself accountable. Some people might prefer to recite their mantra during their morning commute or incorporate it into a bedtime ritual. Find what works for you and run with it. The second trust-strengthening exercise is to practice forgiveness with yourself as much as possible. Say you lose your [cool] sitting in traffic or you spend an entire day completely obsessing over something that hasn’t even happened yet. You are not a failure for doing either of those things. You are human! You are allowed to make mistakes. In fact, at the risk of sounding like a Hallmark card, the mistakes you make will actually strengthen your character as a whole and remind you why you make the choices you do. So be your own best friend. Trust that chick or dude you see in the mirror. Love that person. She/he rocks. A LOT. Believe it. Repeat that mantra until you are blue in the face if you need to, and forgive, forgive, forgive. And then start all over again, because every friendship has its ups and downs, and the beauty of compassion and understanding is the foundation of any lasting relationship. Forgive yourself, and befriend that awesome son of a gun. Balance in a healthy lifestyle is important. Sometimes you need to change your state of mind, activity, or diet. Sometimes balance means a recalibration of what you thought was a healthy lifestyle. Sometimes you have to change your plan to suit your needs. Sometimes you have to do what’s right for you. That’s just what author Jordan Younger did when she decided that her extreme, plant-based, vegan lifestyle just wasn’t working in favor of her health. Breaking Vegan is Jordan’s genuine, heartfelt story of how veganism and obsessive “healthy” dieting lead her to disordered eating, what it was like to experience a vicious backlash from the vegan community that had at one time embraced her, and how she ultimately found her way to recovery. Jordan shares her story, as well as a balanced, whole-foods-based eating plan (including recipes), to help inspire others to find similar balance in their own lives. If you’re pregnant, you know all about those giant pre-natal vitamins and that you need to make sure that you are getting all of the important nutrients that you need to help you grow a strong healthy baby. Fit For Birth by Suzy Clarkson provides tips for a realistic and balanced pregnancy, including information about some important nutrition aspects. Brown rice is a plant-based source of iron. Photo courtesy of Wikimedia Commons. During pregnancy iron gives protection against anemia and helps the body manufacture all the extra red blood cells you and your baby need. Iron is vital in keeping your blood and immune system healthy. Iron requirements at least double in pregnancy from the normal recommended dietary intake for women of 18 mg to 30-60 milligrams per day, but iron absorption by the body is a relatively difficult process. Estimates suggest that only about 10-20% of the iron consumed is actually absorbed, hence the need for dramatically increased levels of 100 milligrams or more per day to satisfy the necessary building of blood cells in the mother and fetus. Iron requirement are even higher in the third trimester, when the baby starts to lay down its own important stores of iron. It is hard to get the amount of iron you need from food alone, so most pregnant women take an iron supplement. An unfortunate side-effect is that iron supplements can often cause constipation. To help alleviate this, make sure you drink sufficient fluids, including orange juice to help iron absorption. Prunes or kiwifruit may also provide some relief. Your doctor will also give you information on how to take iron tablets as they are generally better absorbed on an empty stomach. Taking vitamin C at the same time, either in food or supplement form, can assist with iron uptake by the body, but this is the only vitamin you should be taking at the same time as your iron. Vitamins and minerals in a combination tablet can also hinder iron absorption. Caffeine (contained in both in tea and coffee) and milk also hinders absorption, so avoid those around the time of taking your tablet. Your iron level should be monitored throughout your pregnancy by your LMC and this is usually checked a around 12 weeks and at 32-34 weeks. In normal people, excess iron is not absorbed. In people who are genetically at risk, excess iron can cause haemochromatosis, with liver damage, cirrhosis, diabetes and abnormal skin pigmentation. As iron found in plant-sourced foods is not as easily absorbed as the iron found in animal foods, you need to include a food which is high in vitamin C at the same meal to assist in iron absorption. For example, include one of the following at meal times: fruit juice, potatoes, tomatoes, fresh or dried fruit. Pregnant women who are vegetarian need to take special care with their diet to ensure they have adequate iron intake and more importantly iron absorption. Even if you have not previously been a meat-eater, you may find when you are pregnant this changes and you start to crave red meat. This is a good example of the body’s natural tendency to seek out that which it needs. If this is not an option, seek advice from local medical professionals, or ask them to refer you to reputable information sources. Many older women spend months, if not years, trying for motherhood, then endure an anxious pregnancy wondering if they are eating and exercising properly. Fitness expert Suzy Clarkson has been there. Her first pregnancy at the age of 38 was relatively trouble-free, but trying to get pregnant again a few years later was very different. Following fertility treatment, she finally gave birth to her second child at the age of 45. Qualified in physiotherapy, Suzy has now devised a practical guide to assist older women through their pregnancies, using her own experiences of motherhood to support her text. This easy-to-follow fitness program will take you through each trimester, showing suitable exercises and suggesting how to develop healthy habits to achieve a safe outcome, a successful childbirth and a speedy recovery afterwards. The book is fully illustrated with step-by-step photographs showing the exercises in detail. The information she provides is based on the latest research, and is endorsed by leading specialists in obstetrics and fertility. But the book is more than its exercises. Suzy is a ‘real mum’ who offers encouragement and a compassionate helping hand to all older mothers. Fit for Birth and Beyond is the guide you can trust and use with confidence. More and more, we have been leaning back toward natural remedies for small ailments. Herbal teas soothe when we are sick, apple cider vinegar is a wonderous disinfectant, and ginger works wonders for your tummy. But even natural ingredients can have some adverse effects. It’s important to use them safely and Kate Tietje author of Natural Remedies for Kids has some important advice. Dried herbs image courtesy of Wikimedia Commons. Before diving into natural remedies, it’s important to know how to use herbs safely. Not all herbs are appropriate for all people in all situations. You’ll find specific cautions on each recipe, so you can determine what is best for your family. Please read the cautions carefully and consult your doctor if you have a special health concern before using any remedy. Even simple herbs, like ginger, should not be used by some people. Always read the individual contraindications on each recipe. If your herbs aren’t properly labeled, then plants that look similar may get mixed up and used improperly. If in doubt, throw it out. Never use an herb if you’re not completely sure what it is. Some herbs can cause adverse effects in some people, just like anything else—for example, some people are allergic to peanuts or shellfish, which are foods that many people can consume without an issue. If an herb is known to be harmful or potentially harmful to some people, it will be noted on individual recipes. Read these carefully before choosing which ones to prepare. For some people, it takes only a tiny dose to bring about the desired effects; for others, it takes a larger dose. You can always take more, but you can’t take less. Start with a very small dose, especially the first time you use an herb. Consider taking notes on what doses you give and how they work, so you’ll know next time what is right for each member of your family. Some of the recipes in this book can actually be used topically or internally. 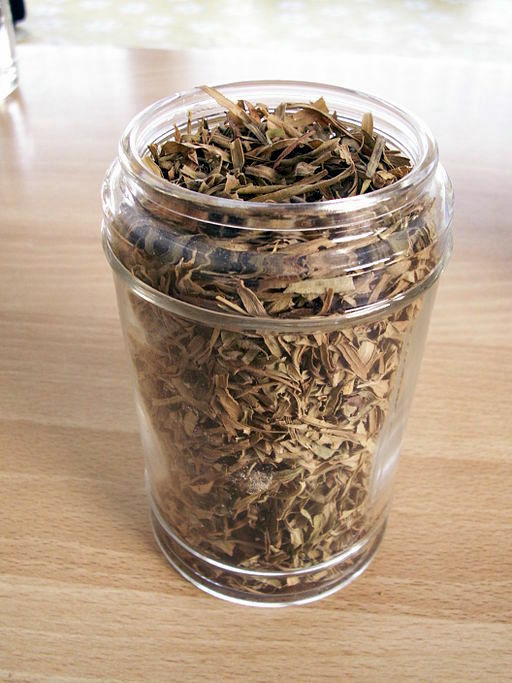 Many of the herbs can be used both ways in different preparations. A few must never be used internally; these recipes will be labeled “for external use only.” Know the proper amount and method for taking any remedy you use. Herbs should be stored in their original bags or labeled glass jars, away from heat and sunlight, and out of your child’s reach. Remedies should be stored in labeled glass jars, bottles, or tins. Some remedies must be refrigerated. Make sure to check the individual recipes for storage instructions. If a remedy ever smells off or looks discolored or moldy, throw it out. In general, herbs are pretty safe. Most of the herbs used in the book are “adaptogenic,” which means that they are used to gently balance the body, rather than have any strong effect. Many are safe even in large doses (these are chosen purposely). Still, always exercise caution with an herb that is new to you or your child. Natural Remedies for Kids is an easy-to-use reference for parents who are ready to take their family’s health into their own hands by using over 100 natural and herbal remedies to help common ailments at home. There’s no need to rush off to the doctor at the first sign of sniffles or fever! Instead, understand what each symptom may be a sign of, how to help treat that symptom naturally, and how to help your child rest comfortably until the illness is over. Find out if the symptoms may be serious enough to warrant a call to the doctor. Then, learn to prepare one of the many recipes for home remedies found within the book to help your child naturally. Find tips and hints from Kate Tietje on which remedies are best for which issues. Discover the time-tested treatments that will help to keep your child healthy and happy, naturally! How Well Do You Know Your Diabetes? Don’t be fooled by stereotypes—both main types of diabetes (1 and 2) can occur at any weight or age. Type 2 diabetes is far more common, diagnosed in 90 percent of people with diabetes, frequently among older people and those with excess weight. If you have been diagnosed but have never had diabetic ketoacidosis (DKA) from high blood sugars, and are responding well to a treatment without insulin, then you likely have type 2 diabetes. Treatments include eating fewer carbohydrates, increasing activity levels, and taking non-insulin medications, especially one that contains metformin. Many people with type 2 diabetes also take insulin if their body cannot produce enough to manage their sugar levels. Going on insulin does not mean you have developed type 1 diabetes. Type 2 diabetes [develops] along a continuum as the body loses its ability over time to manage blood sugars. When this process begins, before it reaches the clinical definition of type 2 diabetes, we call it pre-diabetes. When the process starts during pregnancy, it is called gestational diabetes. Without action, pre-diabetes and gestational diabetes almost always lead to type 2. If you have been diagnosed with one of these conditions, think of it as your chance to halt the progression into type 2 diabetes. Many people are only diagnosed with type 2 when they experience a complication such as nerve damage in their fingers, toes, or eyes. Early knowledge gives you a chance to slow, halt, or even reverse the effects of diabetes. If you have had an episode of DKA and take insulin, you likely have type 1 diabetes.This is more common in children and young adults. If in doubt, ask your doctor to confirm the diagnosis with two tests. The first is aGAD antibodies test. When positive, it indicates that your body is creating antibodies to attack the cells that we know are damaged in people with type 1 diabetes. The second is C-Peptide test, which determines how much insulin your body is producing. The test requires a simple blood draw, and should be done when your sugars are above 100 mg/dL. The C-Peptide test is not widely available, and should be done by a diabetes specialist or someone who is familiar with ordering the test and interpreting the results. It is not a perfect tool for diagnosis, as most people with type 1 diabetes continue to produce some insulin, especially in the first couple of years. If you have type 1 diabetes, the result will be below the normal range and possibly zero. If you find yourself quickly moving from a pill to insulin injections, especially if you are in your 20s or 30s, you may have a variation of type 1 diabetes called LADA, for “latentautoimmune diabetes of adulthood.” The treatment is the same as for type 1 diabetes. A single number on its own has very little meaning. It’s like looking at a single frame from a movie and thinking that you understand the story. Diabetes is not about managing individual blood sugars, but about managing how they rise and fall. This distinction is extremely important. For example, your blood sugar is 100 mg/dL and you are getting ready to drive, what do you do? If your blood sugar has been stable at 100 mg/dL for the last hour, probably nothing. But what if it was 300 mg/dL an hour ago and you treated it with an extra insulin injection? You may be heading towards a severe low blood sugar—and possibly a car accident if you don’t take action to treat the oncoming low by consuming carbohydrates. Work with your body and learn to manage your diabetes for a healthy and happy life. Thriving with Diabetes empowers you to take charge of your diabetes, so you don’t just deal with your symptoms, but change the way you think to improve your health, happiness, and quality of life. Through a simple four-step process, people with diabetes learn how to intuitively understand their blood sugars and what causes both good and bad numbers. This proactive approach results in the ability to manage diabetes personally, not just by a set of notes from the doctor. Written by Dr. Paul Rosman and David Edelman, co-founder of Diabetes Daily,Thriving with Diabetes is not just about eating joyful, satisfying, and diabetes-friendly meals (although that’s certainly part of it! ), but also about managing the daily challenges of physical activity, stress, pain, sleep patterns, and other life events that have a major, but underappreciated, impact on blood sugar trends. You’ll also pinpoint your favorite meals and activities and use them as multipliers of success–focusing on the positive rather than the negative. The result is immediate and satisfying improvements to total health, both physically and mentally!